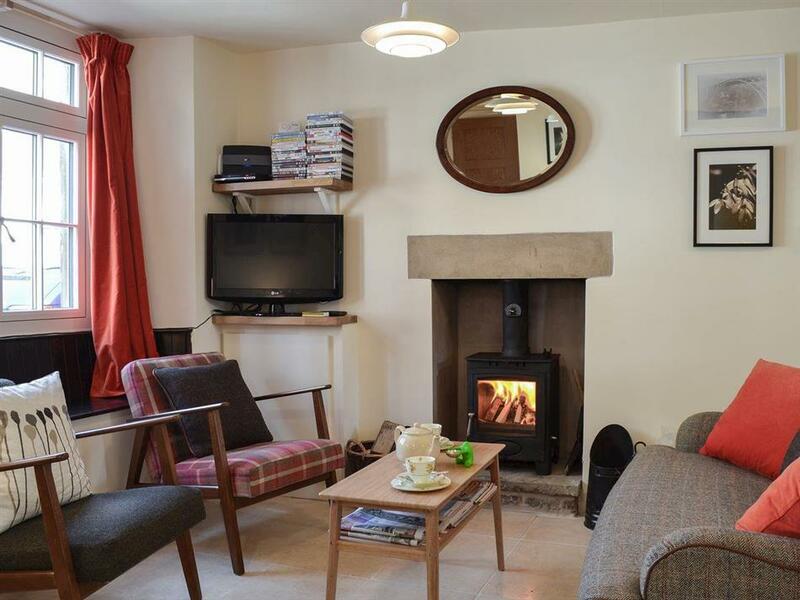 Bagteel Cottage in Tideswell, near Buxton, Derbyshire sleeps 4 people. 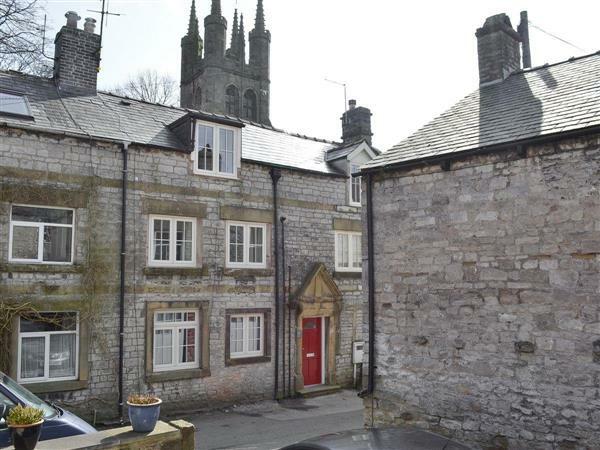 Bagteel Cottage near Buxton is a wonderful terraced cottage which can be found on a quiet street in the shadow of the local parish church, in the heart of the Peak District village of Tideswell. Set over three floors, the finish throughout is of a consistently high standard and exudes character, warmth and comfort. Downstairs, the social open plan living space benefits from both underfloor heating and a wood burner, whilst upstairs the beds are made with crisp cotton sheets, and the sound of church bells lull you to sleep after a hard days exploring. Surrounded by beautiful Derbyshire countryside, Tideswell itself was ranked as one of the top 12 Midlands’ places to live in the 2017 Sunday Times listing. It has everything you’ll need, from a butchers and bakers to a range of cafés, pubs and restaurants, and makes a great base from which to explore. To the north is Hope Valley, the beautiful honeypot village of Castleton, Sheffield and Edale, which is home to the start/end of the Pennine Way. To the east are Chatsworth House Estate, Bakewell and Chesterfield, and then to the west lies Buxton, Manchester and the Cheshire plains. A haven for outdoor enthusiasts there are many great walks and cycle ways close to the village, including the traffic free Monsal Trail, Trans Pennine Trail and Limestone Way. Cycle hire is available along the Monsal Trail, and climbing, caving and abseiling are all available locally. The shop and pub are 120 yards from Bagteel Cottage near Buxton, with the restaurant 170 yards from Bagteel Cottage. Bedroom 2: With king-size bed and vaulted beamed ceiling. Gas central heating (underfloor on ground floor), electricity, bed linen, towels and Wi-Fi included. Initial logs for wood burner included. Travel cot and highchair available on request. On road parking. No smoking. Holidays at Bagteel Cottage run from Saturday to Saturday. For a better idea of where Bagteel Cottage is, you can see Bagteel Cottage on the map below. Bagteel Cottage is in Derbyshire; should you be on the lookout for a special offer, you can find all the special offers in Derbyshire. It's always worth checking to see what is on offer at the moment. Do you want to holiday near Bagteel Cottage (UK4149), you can see other cottages within 25 miles of Bagteel Cottage; have a look to find your perfect holiday location.